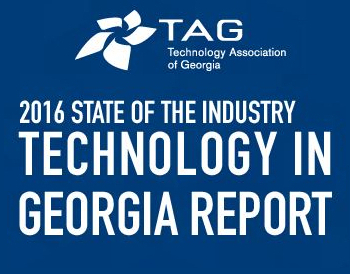 The yearly powerhouse report containing information on the current state of of technology in Georgia as well as results from our TAG Technology Decision-Makers Survey primary research study. 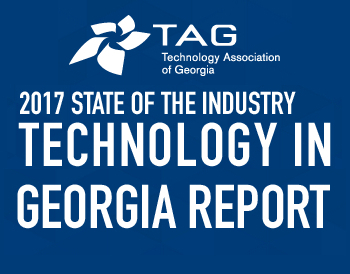 See the latest research on the state’s FinTech industry from TAG’s 2017 State of the Industry Report! These items help to provide further insights and showcase the strength of this growing sector. 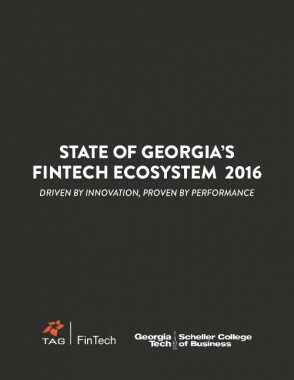 See the latest research on the state’s FinTech industry from TAG’s 2016 State of the Industry Report! These items help to provide further insights and showcase the strength of this growing sector. Access technology and business articles from leading experts and thought leaders. 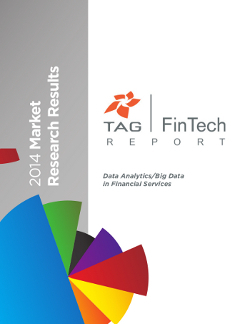 TAG FinTech is pleased to present the results of our updated research study on how FinTech organizations are using data analytics. This 20-page report is the product of an eight-month effort in collaboration with Georgia Tech’s Scheller College of Business and reflects the contributions of several industry leaders, notably Raymond James. 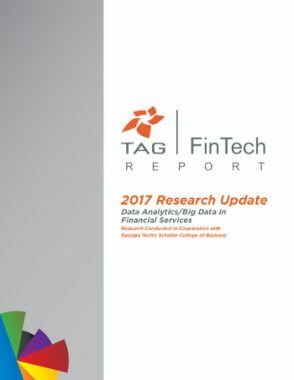 TAG FinTech is proud to present the results of a research study on how FinTech organizations are using data analytics to trim operational costs and grow revenue . Executive Summary and Roadmap: summarizes the high level research results and provides a roadmap to help executives build a data-centric organization. TAG FinTech is proud to present the results of a research study on how FinTech organizations are using data analytics to trim operational costs and grow revenue. Big Data 2020 Market Research Results: provides detailed results of the FinTech data analytics/Big Data research to help management understand the challenges of becoming data-centric.